Not a job, an adventure! Idaho Conservation Corps is not a job, it is an adventure. 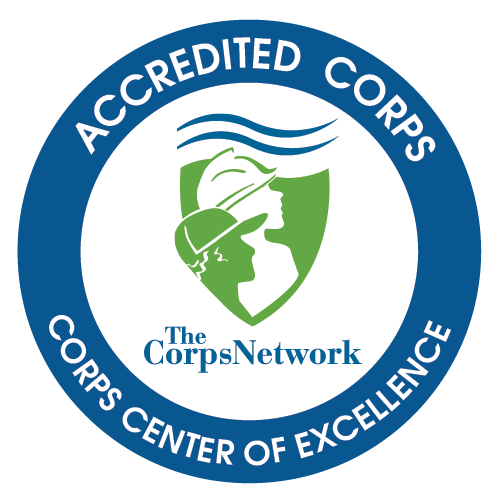 A position with Idaho Conservation Corps is about hard work, seeing new places, experiencing new things, and meeting new people. It is about sweat, blisters, mosquitoes, friendship, and pride. With ICC you will become part of a hard working team; surmounting challenges, widening horizons, and discovering the importance of responsibility to yourself and to your team. All ICC programs combine an outdoor focus with education, teamwork, and challenge to create a foundation for individual growth. Each program is unique but they share many of the same basic themes. Education at ICC is about learning by doing. You will discover the purpose of each project, often by talking with the resource manager in charge. Each day you and your team will spend an hour examining local ecosystems and exploring society's relationship with nature. Teamwork is vital to the success of every crew and even after leaving the project site, you and your team will work together to complete the chores needed for your crew to live comfortably in the woods. Responsibility is a key part of every day at ICC. At the project and at camp you will discover that your team depends on you to do your part whether it is carrying a water jug or making sure tools are sharp for the next day. Job skill development, including safety, punctuality, dependability, teamwork, communication, conflict resolution and problem solving are part of everyday. With ICC you will master the basic work maturity skills valued by every employer. Diversity is part of every ICC program. We recruit young men and women from all ethnic and economic backgrounds. Challenge, hard work, and high expectations are part of everyICC experience. You will leave ICC with new confidence and the knowledge that you have achieved something special. Outdoor Recreation is a part of living and working in the woods. With ICC you will master outdoor skills and get the chance to try a variety of outdoor recreation activities.